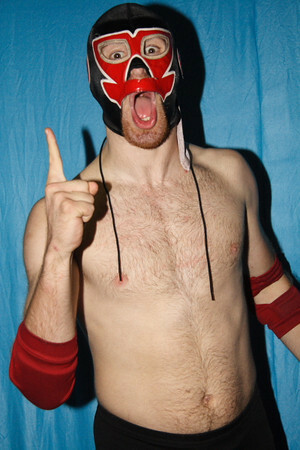 Trent Barreta, I thought he looked great in the very little oppertunites he got. I want to see what he can do with the "handcuffs" off in front of the rabid Reseda crowd. eastbay510 wrote: Trent Barreta, I thought he looked great in the very little oppertunites he got. I want to see what he can do with the "handcuffs" off in front of the rabid Reseda crowd. Totally agree with you about Trent , I think with the handcuffs off he can show what he really can do . Hahaha. There is no way Ryder wrestles in PWG. SD likes good wrestlers. I agree with Robert Anthony, I guess the injury wasn't as bad for him. I'd love to see Daisuke Sekimoto brought in. We could finally get Michael Elgin v. Daisuke Sekimoto. That right there would be an awesome match. Wouldn't be surprised if that happened in the 16 Carat tournament. How bout Jarek:120. For those that dont know him, hes a talent from Michigan who moved to Cali last year. Look him up on youtube, plenty of great matches in Beyond Wrestling. Plus, his gimmick is hes a master magician/illusionist. He has a youtube channel called Disturb Reality, which has like 25,000 subscribers. Is there a finalized list of participants for that? Garden State Saint wrote: Is there a finalized list of participants for that? Any idea when it takes place? Early March, March third I believe. Thanks for the list, El Asian.